Since its arrival in Indianola, the “God Bless America” statue has been the talk of the town. 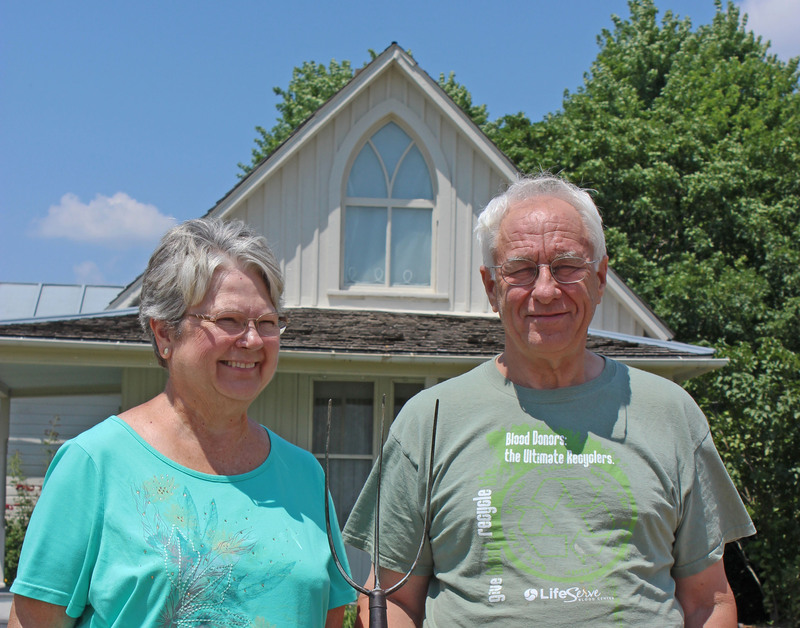 A friend told me that the American Gothic house in Eldon, Iowa, is worth a visit. So, Dave and I travelled there on Friday. We were impressed! Today the house is owned by the State Historical Society of Iowa through donation from Carl E. Smith and is registered on the National Register of Historic Places (1974). It is amazing that Grant Wood selected that house, of all possible houses, for his famous painting. The Gothic window was the clincher. The Visitor Center, run by the Wapello County Conservation Board, is small, relatively new, and packed with interesting information. The staff is friendly, knowledgeable and helpful. The 25-minute film is a “must see.” The Visitor Center even has mock-up clothing so visitors can have their picture taken (with your own camera) in front of the house in vintage clothing. Admission and photo session (with or without the vintage clothing) are FREE. The trip is worth it! Enjoy!